Business office staff can avoid the added expense of purchasing headset amplifiers with Telephone Magic "Direct-Connect" phone headset options for Nortel/Avaya Norstar, Meridian, and BCM phone system telephones. Combining amplified Nortel/Avaya Norstar, Meridian, and BCM phones with wireless telephone headset options that have three wearing choices, there's always a headset to match the personal style of every business office staff person. Traditional business office executives and customer service representatives have had to purchase both a phone headset and independent headset amplifier to enjoy high quality hands-free communications with their clients and suppliers. Now with the use of a simple adapter cord, phone users can add a Nortel/Avaya Norstar, Meridian, and BCM phone headset for a wide variety of "direct-connect" styles and user requirements. Telephone Magic Inc. has long been a leading online supplier of Nortel/Avaya Norstar, Meridian, and BCM phone systems, expansion equipment, phones, and accessories. Jeff Jackson, president of Telephone Magic indicates, "Nortel Norstar phones and some of the the Meridian business telephones have internal amplification. 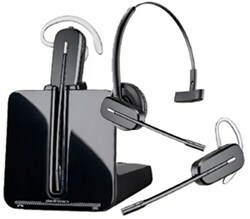 A number of years ago Plantronics had a Polaris line of phone headsets which were designed to connect directly to the headset port of these phones. This means you didn't have to buy an external amplifier like you do with most other business system telephones". Jackson continues, "Now with the simple addition of a Plantronics A10 Direct Connect cord Nortel/Avaya phone users can easily connect a standard Plantronics H-series or CS-series headset to most headset-ready phones via the headset port. This allows for a much wider selection of headset models and styles to suit virtually any user requirement". 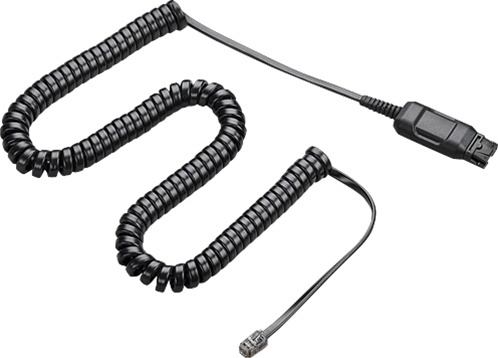 Actually the Plantronics A10 direct connect cable provides a "Quick Disconnect" feature which offers extremely clear sound quality and superior reliability for Avaya, Nortel Norstar along with Meridian phones, Mitel, Cisco, Polycom, NEC, and Aastra telephones while eliminating the need for a headset amplifier in most cases. A couple of corded telephone headset options include the SupraPlus P251N phone headset is created by adding the A10 cord to an H251N headset. It features a single earpiece with a foam ear cushion to block out background noise and a noise canceling microphone. This headset is designed specifically for telephones that provide built-in amplification, such as Nortel Norstar business phones. The Plantronics SupraPlus headset family brings new standards in all-day comfort and reliability to telephone professionals. Enhanced receive-side audio quality, an intelligent flexible boom and stylish design provide greater headset flexibility. The P351N SupraPlus SL phone headset brings new standards in all-day comfort and reliability to telephone professionals.Enhanced receive-side audio quality, intelligent flexible boom and stylish design provide greater headset flexibility. SupraPlus SL offers monaural or binaural versions, voice tube or noise-canceling microphones. Two of the cordless - or wireless - telephone headset options for Nortel/Avaya phones include the CS540 wireless phone headset. At only 21 grams, the CS540 features the lightest DECT™ headset on the market. That means all-day comfort and performance. The CS540 also features increased range for maximum mobility, one-touch controls, energy efficient power management, and simple plug-and-talk installation. 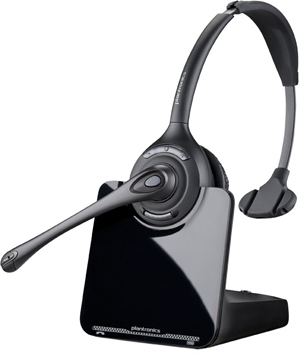 Another cordless headset that functions well with Nortel/Avaya phones is the CS510 wireless phone headset. 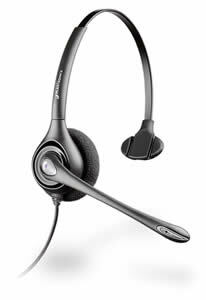 Plantronics CS510 cordless headset is the wireless headset replacement of the legendary Plantronics CS351 monaural (1-ear) phone headset. The CS510 contains many new features including a new design, streamlined base, and improved performance. The CS510 has a traditional headband with only one ear covered by a speaker so business office users can still interact with other office staff while the headset is on their head ready to make outbound or take inbound calls. Mr. Jackson continues "The wireless/cordless phone headset options for Nortel/Avaya telephones allow users to become mobile and multi-task up to 350 feet from their desks with answer, end, and mute controls at their fingertips. Combining amplified Nortel/Avaya Norstar, Meridian, and BCM phones with wireless telephone headset options that have three wearing choices, there's always a headset to match the personal style of every business office staff person".